JET are delighted to bring to you our festive fundraising tools to help you get in the festive spirit and raise funds for JET this Christmas. 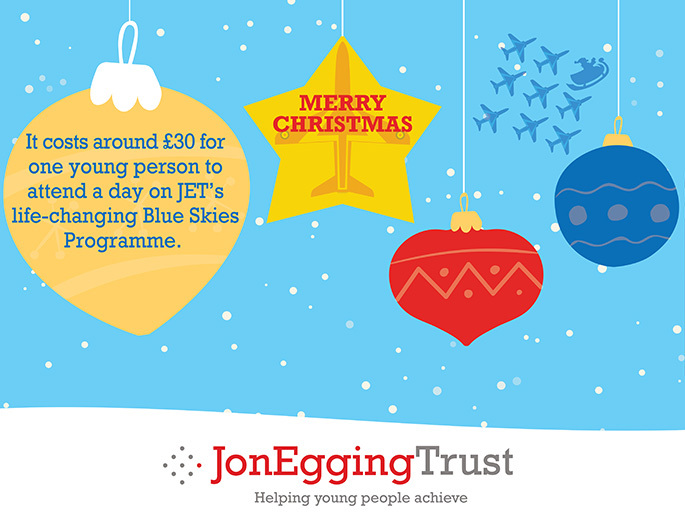 Last year, JET supported more than 10,000 young people across the UK to overcome adversity and reach their full potential through our Blue Skies and Inspirational Outreach programmes. 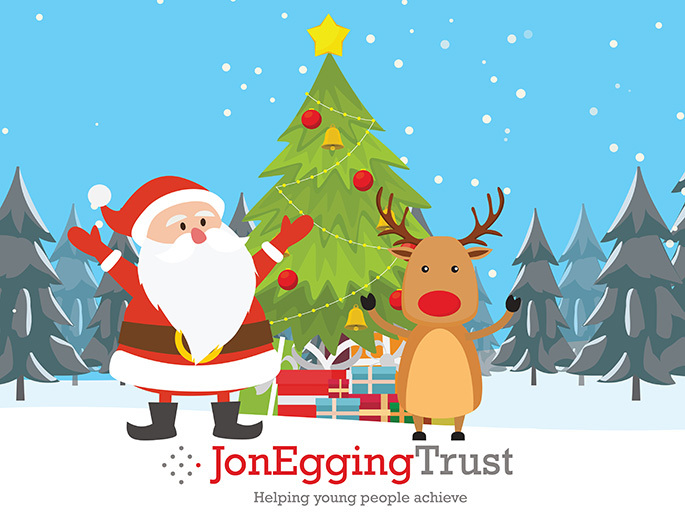 JET believes that all young people should have the opportunity to be the best they can be, and with your support this Christmas, you can help us to reach out to more young people across the UK. Save some money on sending Christmas cards to your colleagues this Christmas and support JET by using our fantastic Christmas message poster. You can easily raise £30 by filling just one poster. Get festive with your fundraising and spread that Christmas joy around your colleagues, friends and family by using one of our Christmas themed fundraising ideas. You might be more used to wearing lycra for running, but why not don a Santa outfit and cover some miles in a sponsored Santa fun run? Check this list to see if there’s an organised event happening near you or gather some friends and do your own fancy dress run. Download a sponsorship form and get JET Santa fun run certificate to show you took part. This is the easiest way to raise money for JET at anytime of the year. Shop online at over 4,200 shops via Give as you live or on Amazon via Amazon Smile and help raise funds for JET at no extra cost to you!